You probably know that there aren’t any free lunches in this world. Well, the closest any blogger/ online entrepreneur can ever get to getting FREE stuff is through SEO. Caveat: You do spend a ton of up front work to get ranked, but after that, it’s a good ride to be on. Every day, tons of blog owners earn loads and loads of money off free traffic from Google. Here are some simple SEO blog tips you can implement right now to up-level your search engine game. SEO started out as something foreign to me. S..E.. what? I soon learned that SEO is basically the art & science of getting your website ranked in Google. 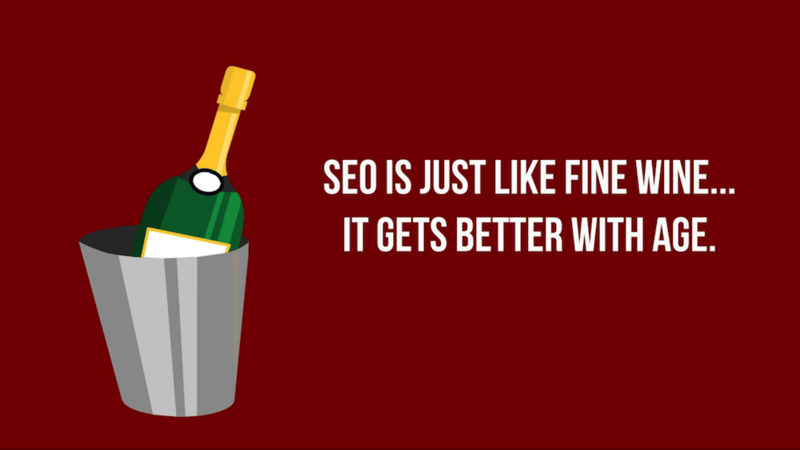 Do you feel like SEO is this overtly technical thing that you have to master? That was how I felt too. People search for a keyword they are searching for, click on your website, and ta-dah! You have a new visitor and a potential customer. Then, I went through this phase of delusion. I thought that it was going to be a piece of cake ranking stuff at #1. Imagine my sore disappointment when I realized that I’d done everything I could but I was still not ranking yet. You know, those people that promise you #1 rankings in XYZ day? Those aren’t real claims, people! Fast forward to today. I want you to know that it’s possible to rank, but it takes time and intentional effort. I’m going to share some of the most fundamental tips right here to get more organic traffic – you’ll love it! That picture should actually say “Organic traffic is just like fine wine,” but you get the idea. It’s one of the largest sources of traffic… that’s free! Small tweaks to make your website more Google-friendly will give you a huge ROI in the long-run. One of the greatest perks of blogging is having tons of content for Google to potentially rank. As your website matures, you start having more authority in Google’s eyes – and you get even more visitors than the month before.. and the cycle goes on and on! Imagine this.. you wake up to tons of traffic every day from Google, day in and day out for relevant keywords in your industry. These people engage, subscribe, and some eventually purchase your stuff – daily! In the search engine’s eyes, those videos you recorded, that flash content, that awesome design… its just random code to Google. Words matter because Google can comprehend words. Keywords are words that you want to rank for. 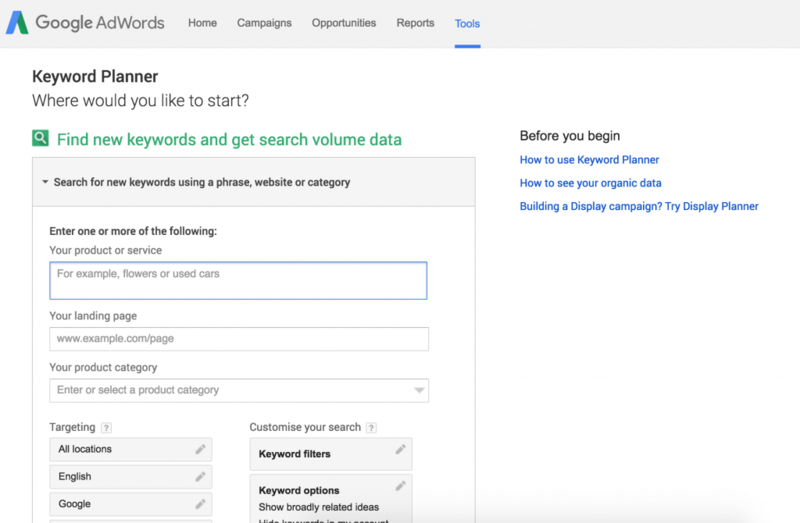 Use the Google keyword planner to figure out exactly what keywords you want to target! Each article should have one target keyword. Whatever you do, make sure your keyword is relevant to your article. Do not try to force feed particular keywords that don’t align with what your article is actually about. Under “Search for new keywords using a phrase, website or category,” type in keywords relevant to your post. 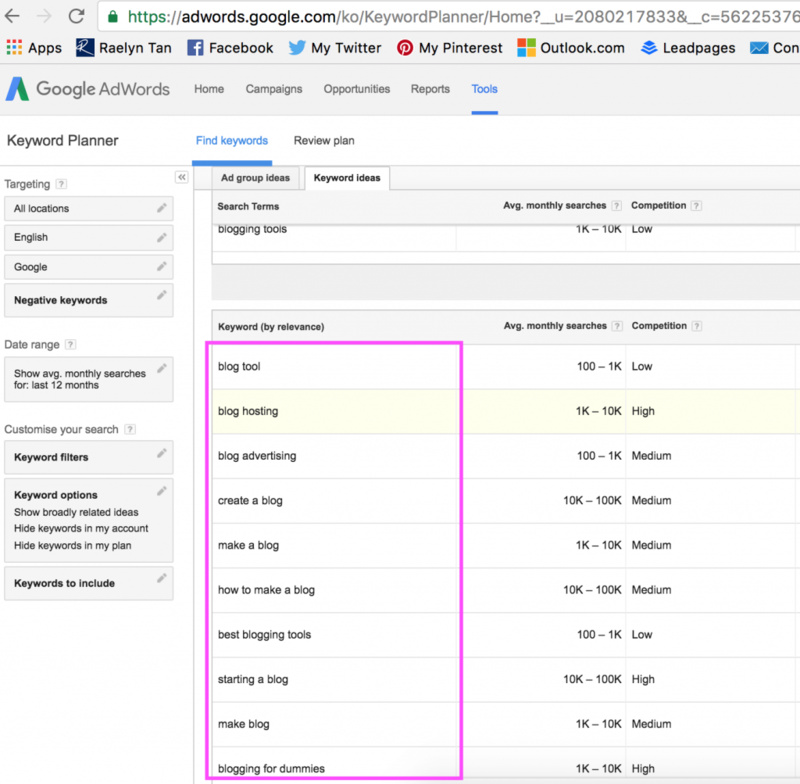 Pick a keyword, and optimize your article for that keyword! Target keywords ensure that your article is going to rank for a phrase that people actually search for. The title tag is a big factor that Google uses to understand what your blog post is about. If you wanna change just one thing in your post, it would be the title tag. Ensure that your title tag has your targeted keyword and is under 55 characters. Google displays only 55 characters in search results, so anything more than that will not be read by search engine users anyway. Watch your characters, and add in your keyword! Meta descriptions are what you see in the search engines underneath the title. Its primary function is to entice readers to click through to your post. Keep your meta description within 150 – 160 characters, and have your keyword inside. Google will bold any keywords if it is in your description when someone searches it. This increases your click through rate. One of the best ways to let Google know what your post is about? Link to your own posts with the relevant keyword. Imagine Google’s bots as spiders crawling around your website. Links allow for more efficient crawling, and the bots can move from page to page. 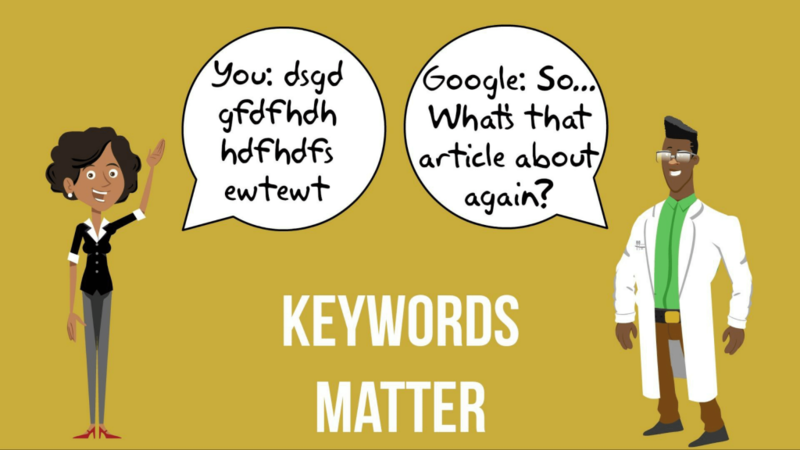 Also, using your keywords in your links to your own pages help signal to Google what your article is about. 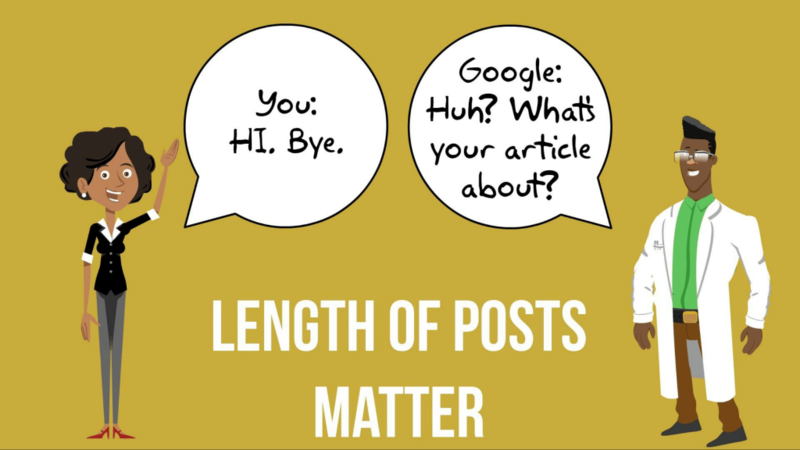 The more words your article has, the better Google can understand what your content is about, and rank your articles for the relevant keywords. I keep my blog posts to at least 1000 words unless there’s a particular reason why I want to keep the post short, such as in my insane quick tips series. All those beautiful images you have, not being read by Google… what a pity! Use relevant keywords in the alt text of your images. The same applies for the title of your images too. 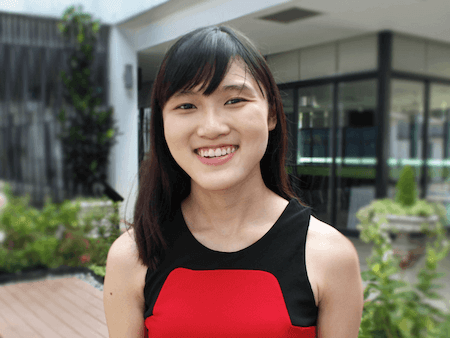 and not https://raelyntan.com/2016/5/6/create-lead-magnet, or worst, https://raelyntan.com/p=81?. Use dashes to separate different words. Use a 301 redirect plugin if you’ve people (or your own posts) linking to your post before changing the permalink! Thankfully, we have an awesome WordPress plugin that will help you do most of the above. If you’re on WordPress (and you should be, as self-hosted WordPress is the best blogging platform), use the Yoast SEO plugin. It generates a string of content checks to ensure that your blogpost is nicely optimized. Of course, make sure that your blog post remains compelling – here’s a template on how to write the perfect blog post. 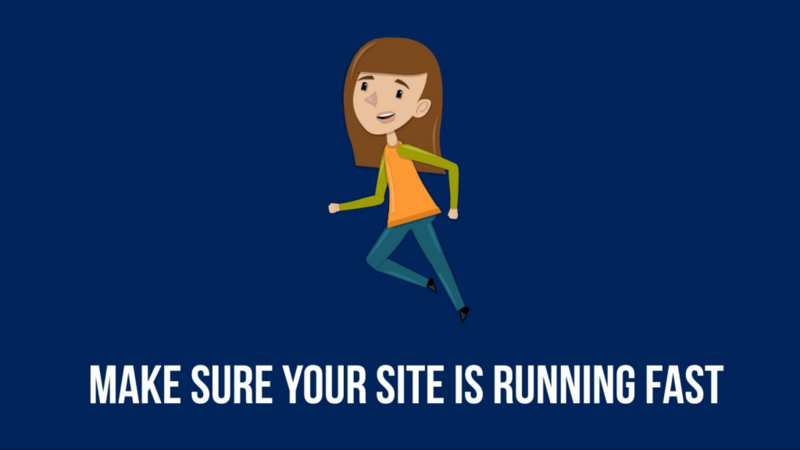 Make sure your site is running FAST. Google penalizes slow sites. You can check your site speed using Gtmetrix, Pingdom and Google Pagespeed Insights. Increasing your site speed is a whole other article on its own, but these 2 tips will help you to speed up your site significantly. Compress all your images. All images on my site go through 2 rounds of compression. First, I compress my images manually using tinypng.com. I also install a plugin called WP Smush that automatically compresses any images I upload further. 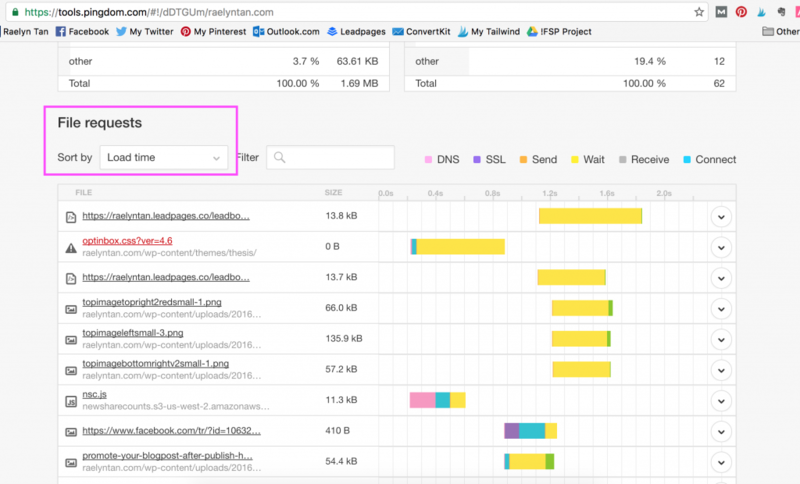 Run a Pingdom test, and under “File Requests,” sort the requests by load time. You’ll be able to see what files are being opened and how long it is taking. Look at the requests which are taking the longest time to load, and delete them if you can. When I did this, I deleted a bunch of files, and my site sped up significantly. If you complete these steps, you would already have a leg up above 50% of all content creators. Want more SEO related articles? 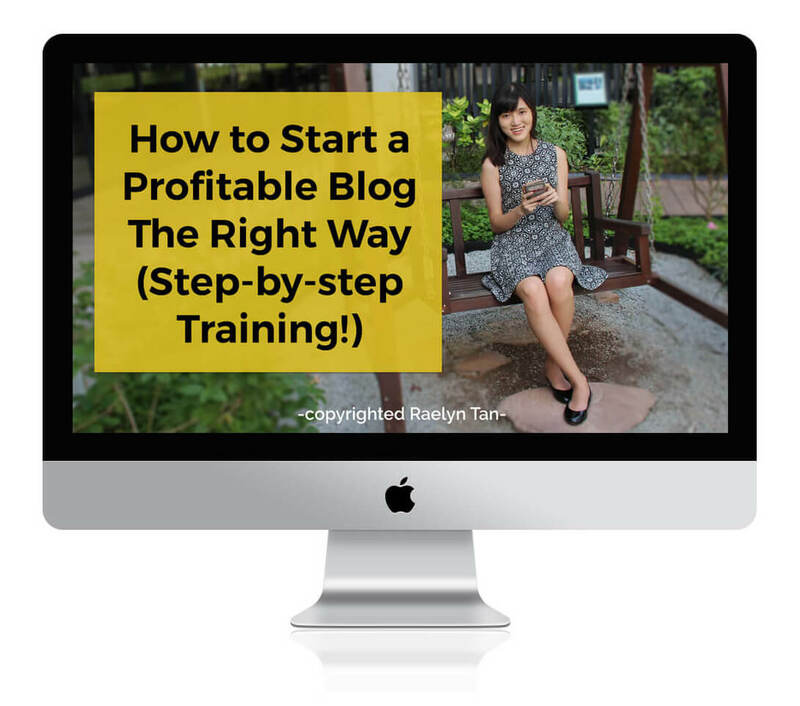 Want to learn how to get more blog traffic and subscribers? I’ve helped hundreds of students successfully grow their blog traffic through my signature course, Traffic Subscribers Yours. You can get started by signing up for my free 7-day Turbo Your Traffic & Email List Starter Course below. Hey, Raelynn! Thanks so much for sharing your knowledge with us newbies, and doing it in a manner that…even us newbies can understand! I’m pinning this twice, once to my private board and once to a public blogging board. When we share with others, we open ourselves up to having more shared with us. Karma, right? Thanks again. I feel much more confident about launching my blog. I have a few questions if you don’t mind and also thanks so much for clearing up this SEO thing for me! I’m a bit confused on that statement and don’t understand what you mean. If I use the WPSmush plugin you recommend will it affect any old pictures I already have on my site? I just remember trying another picture plug in once and then having my pictures either messed up looking or turned into thumbnails. Last question-where do I put the Meta Description? I’m looking at my WP Dashboard under the Posts section and don’t see that part. If you’ve people linking to you and you’re changing your permalink (blog post url), these people will land on a 404 page! Also, any SEO juice that your post is getting due to the links will be lost. A redirect solves this problem. 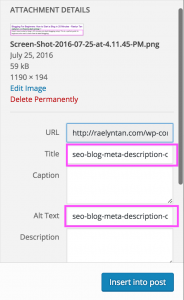 To see the meta description you can use the Yoast SEO Plugin, subsequently you should be able to see the meta description of your post. Well written post. 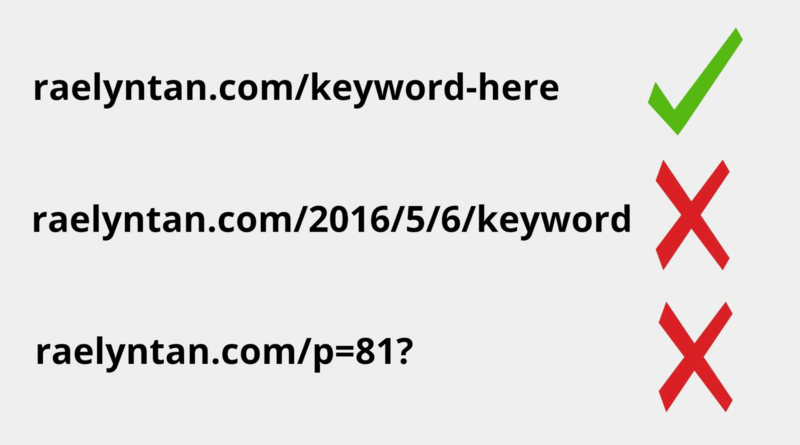 As far as I know though there is no need to target a single keyword, but you can use few. No “stuffing” of course. Besides that, you didn’t mention the so called keyword density and responsiveness (and in general optimized UX) of the website. Furthermore, not all people use WordPress, so a better option than promoting it in this post it’s to analyze the functionality of yoast and lead users to another post where you are going to review seo tools of famous cms platforms (such as WP and yoast). 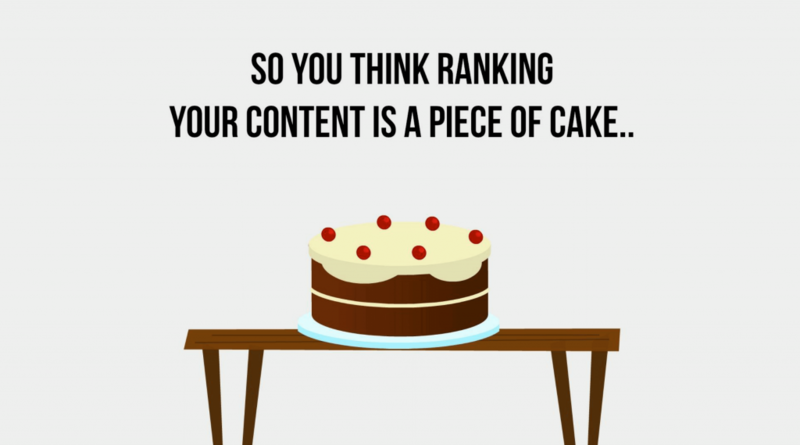 Last but not least, the undeniable key 1 factor of ranking is the content itself. Whatever I say it’s my genuine opinion and I express it in a polite mood. No offense. I love helping other people to improve blogging all together. P. S. Your face is definitely Korean. You are based in South Korea though or probably the States? Hey Konstantinos, well I’m Singaporean, although I’m happy to look South Korean, haha! Yes you are right, no need to have a single keyword, multiple keywords are possible too, but it gets very confusing and tedious especially for beginners. Easier to have a single keyword and focus on that for starters. Keyword density is not a ranking factor. Not all people use WP but most of my audience does, or at least those that listen to what I say. I have a post about why wix and whatever else doesn’t really help here: raelyntan.com/best-blogging-platform – so once again, its to make this post succinct. I may take your suggestion and analyze the functionality of yoast in a future post! And yes, content is ofc the #1 factor, but most users already know that and including it in this post wouldn’t value-add much – hence i didn’t add it in. Wow! This is very helpful thanks for posting this. We’ve been trying to increase our traffic by posting on social media and other blogs, etc. Hopefully, our views will increase. It’s quite challenging to get to the first rank or be the first name to appear on the search engine. Will definitely save this. Thank you so much for these valuable information. I’m sure I’ll benefit from all these useful tips.I’m newbie and I’ll publish my first blog post next week,very excited. I hope my blog one day will be reached from google search engine. 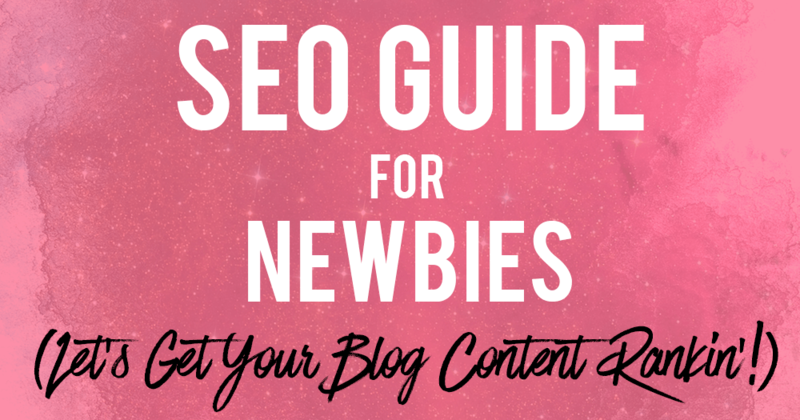 I am a new blogger and I was so confused about this whole SEO thing but you made it so easy and clear to understand. I have already used many of your advice and I have noticed massive improvements already so thank you! This really helped me a lot. I’ve been blogging a while but just now really trying to take it up a notch. These are great tips that I will work on. Great article! For the permalink, what if where you write out the words it is the correct words I want, but then in the actual link it shows up withe the date first and then the words automatically. How would I change that? Thanks! You need to change your permalink structure under Settings > Permalinks. I feel that you have laid out every SEO tips a person could find on another website. And I see that you have used the permalink rule in your own website too. thank you for the post.